Open just about any astrology book and either in the acknowledgments or the bibliography, you are sure to find credit to this remarkable book. It is a seminal classic of astrology, a book that has launched tens of thousands of personal and professional practices. One reason for its popularity is its accessibility. From the utmost basics of the sun signs and planets to a more comprehensive guide for building and interpreting an astrological chart, this book is all you need to get started in astrology. Oken introduces and reinforces the basics, while providing food for thought with different paths the more advanced practitioner may take. 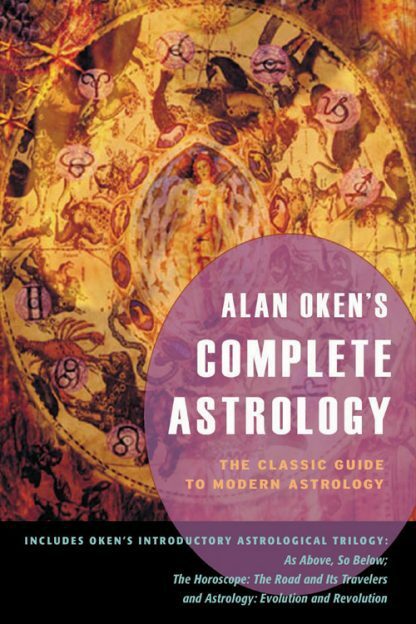 Extensively illustrated, Alan Oken's Complete Astrology includes exercises, workbook sections, background material, appendices, a bibliography, and an index. Out of print for more than two years, the author receives hundreds of requests for it each month. Alan Oken has written several bestsellers, including Alan Oken's Complete Astrology, Soul-Centered Astrology, and Rulers of the Horoscope. An internationally known lecturer and teacher, he speaks and writes in six languages and has taught in over 30 countries. He has an active astrological consulting practice and a significant web presence. He is the founder and director of the Wisdom School.